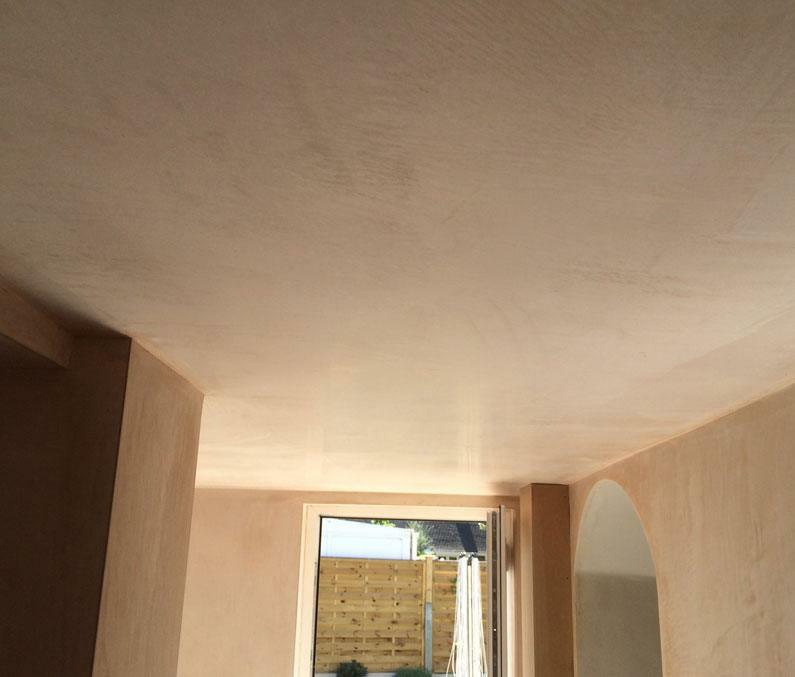 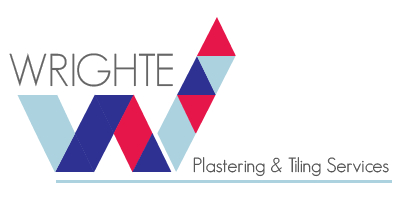 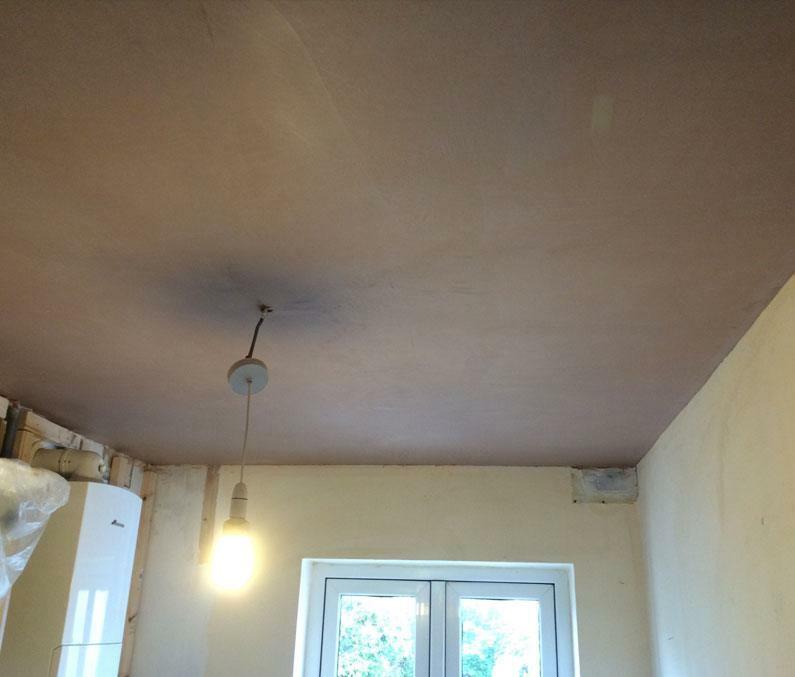 All types of plaster ceilings / back to flat, skimming, over boarding & suspended ceilings. 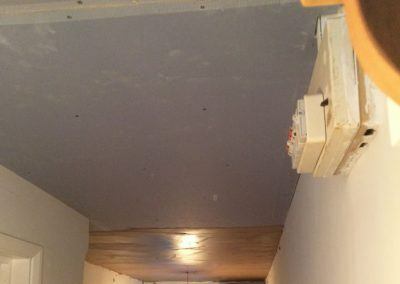 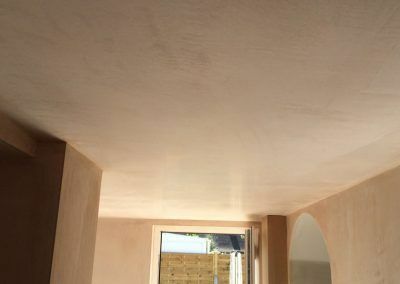 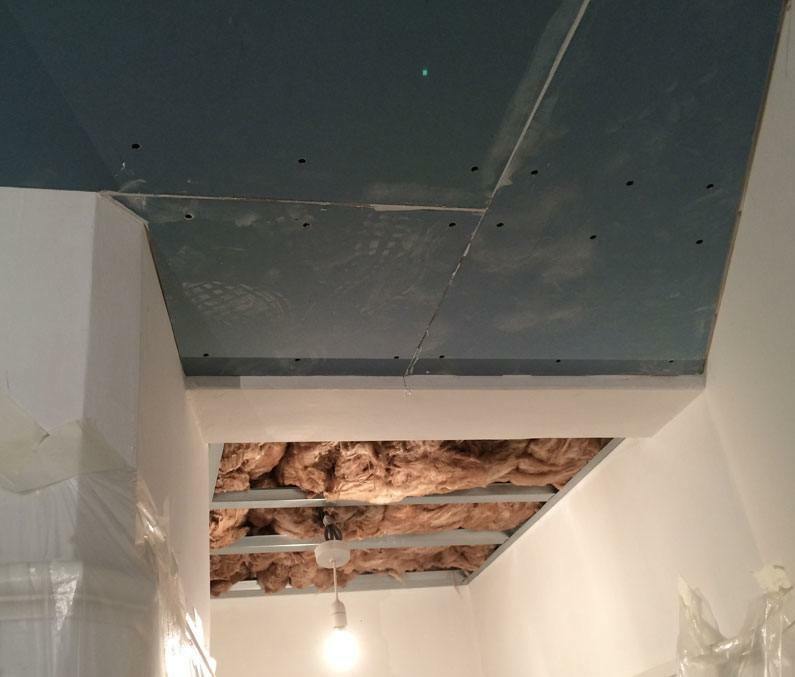 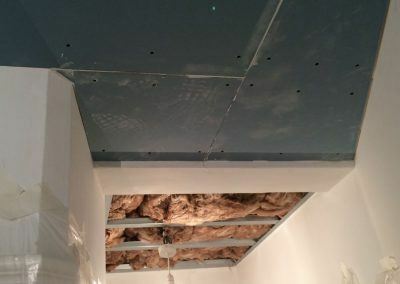 This is a very popular technique where you simply cover the existing ceiling with a new layer of plasterboard. 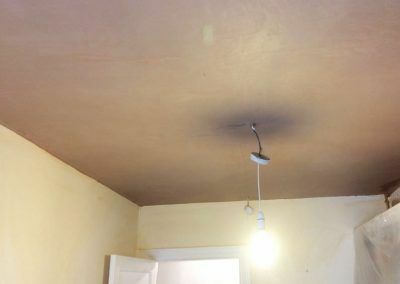 This helps achieve a good plastered finish as long as the existing ceiling is reasonably flat to start with & will help improve fire ratings. 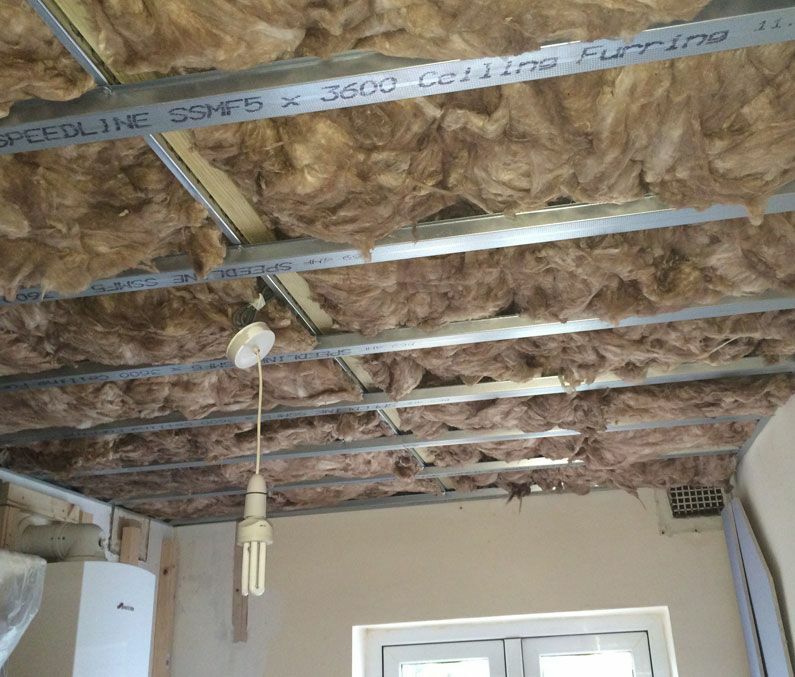 The other benefit is it will secure any lose existing larvae plaster ceilings, if fitted correctly with suitable size drywall screws. 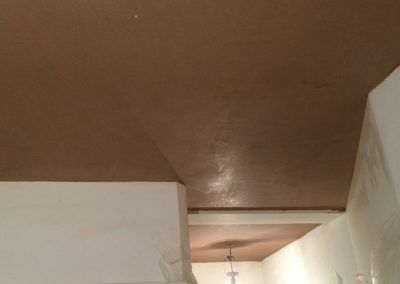 This is an extremely common technique used to cover up those old artex surfaces that nobody wants anymore. 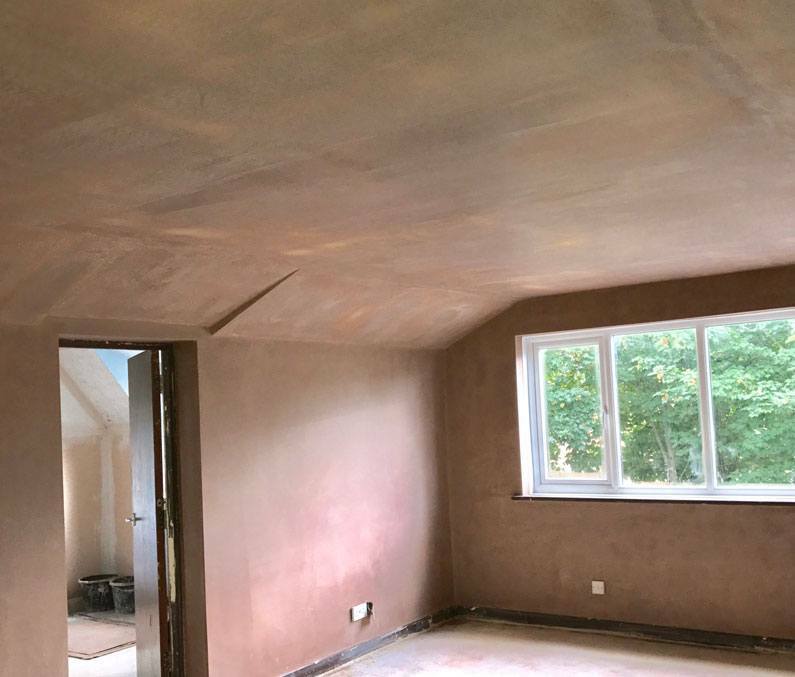 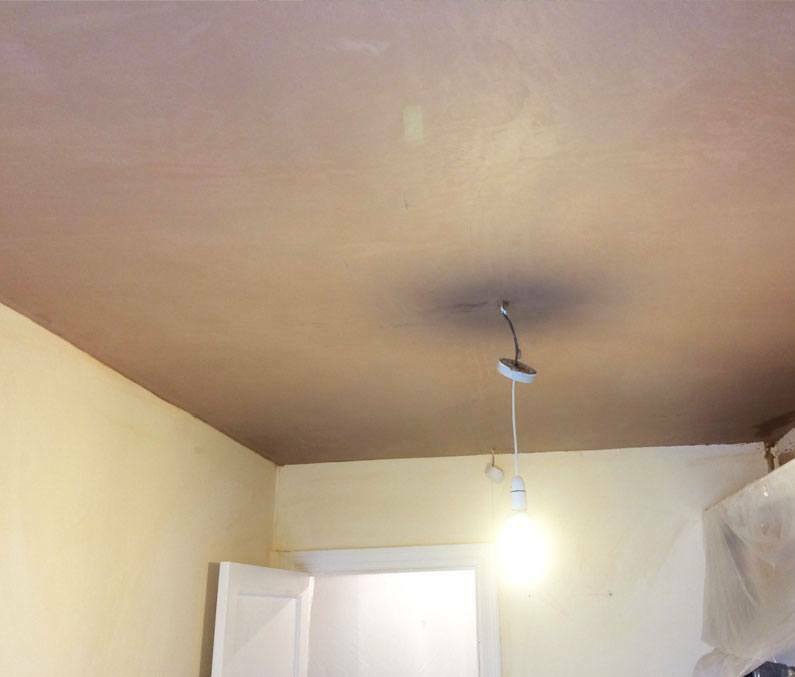 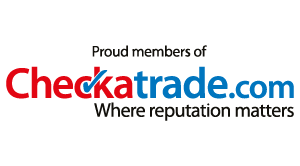 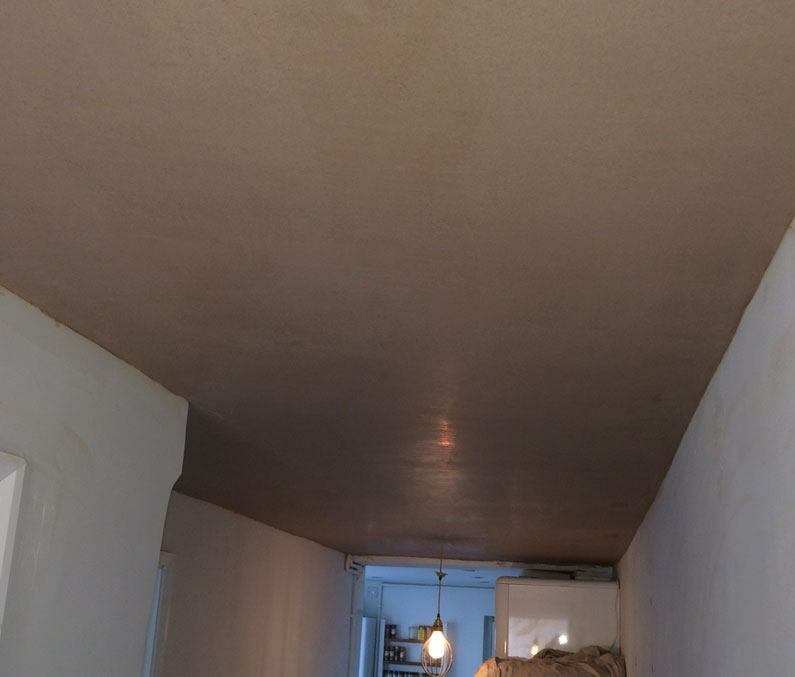 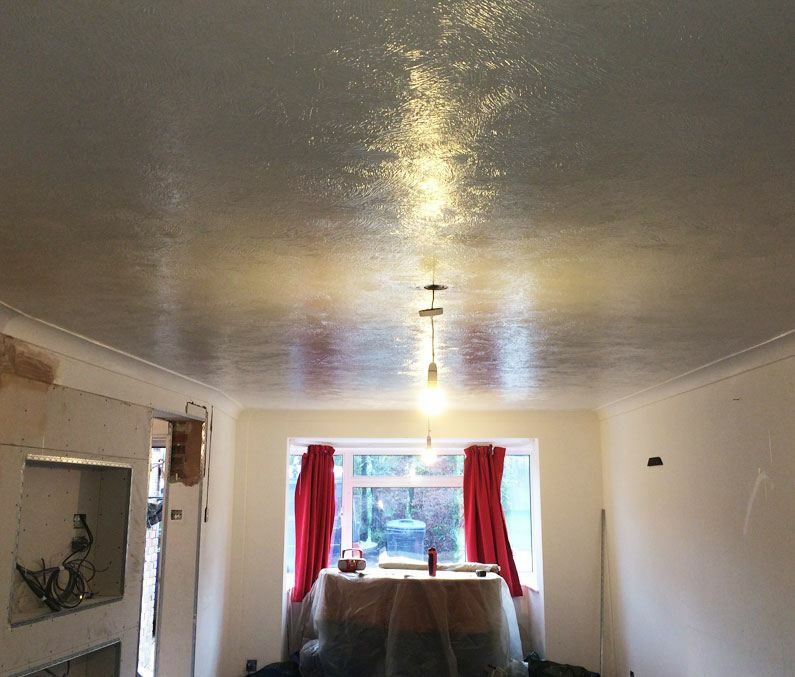 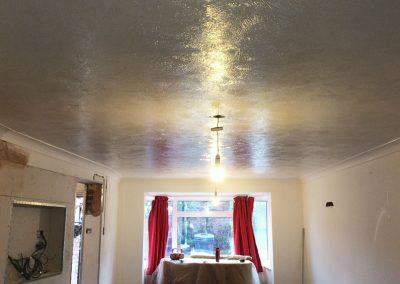 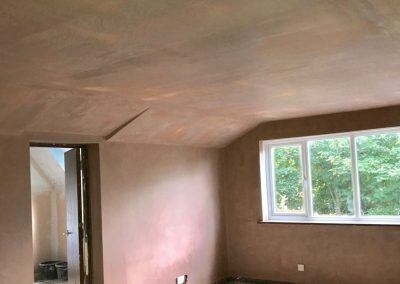 In most cases, the artex can be skimmed over the top after being scraped down but you must be careful as some of the older artex ceilings may contain traces of asbestos. 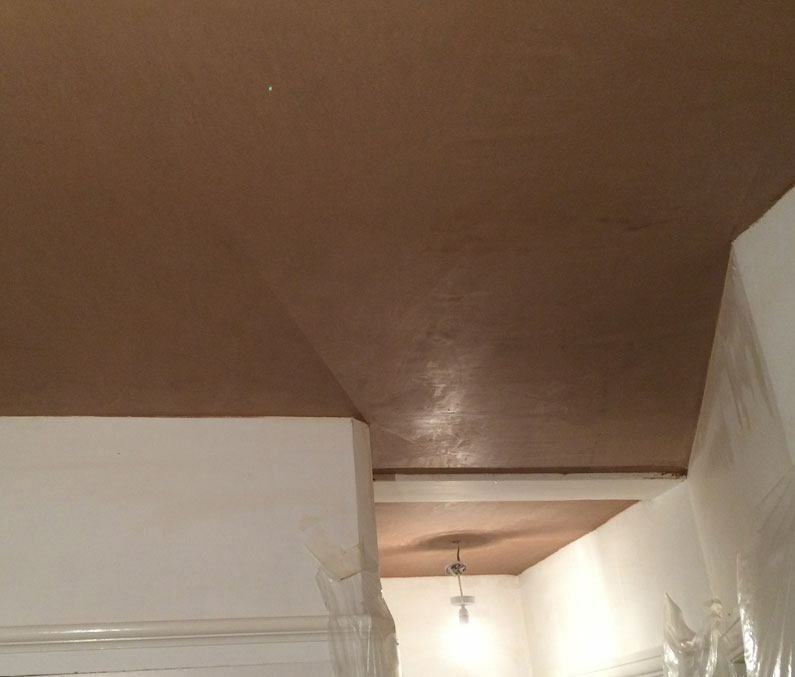 In some cases it may need over boarding or a tight coat of bonding plaster over the top. 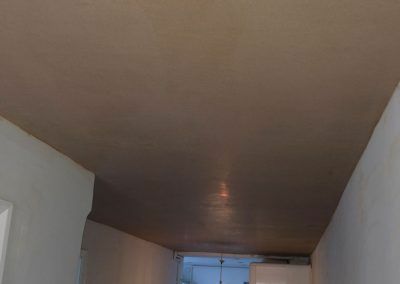 This is a personal favorite as there are so many benefits. 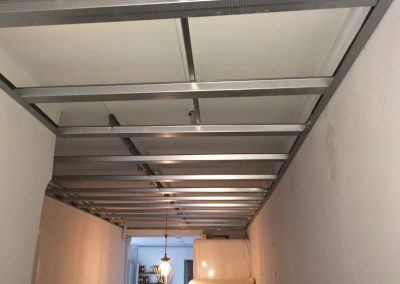 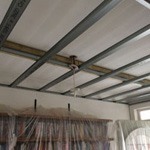 A suspended ceiling is constructed just below the existing one so this will reduce the ceiling height by about 5 inches. 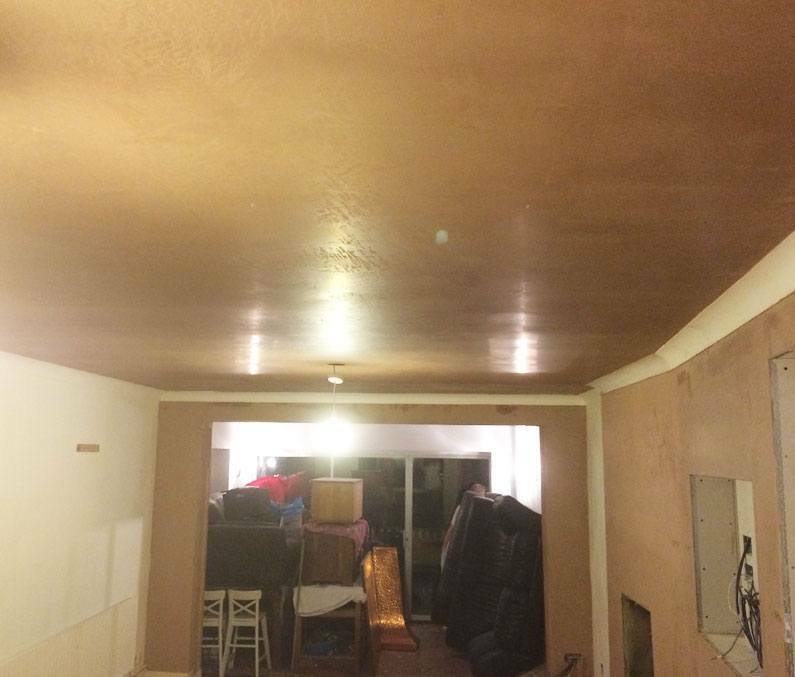 (A fraction more than coving.) 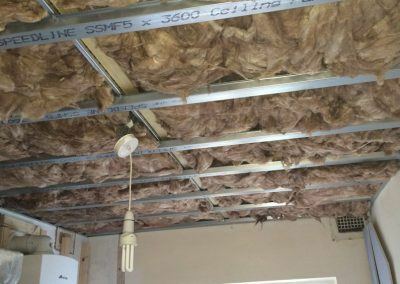 This means there’s very little mess, greatly improved fire safety time, great acoustic / sound proofing & you won’t here your children or neighbours stomping around above you. 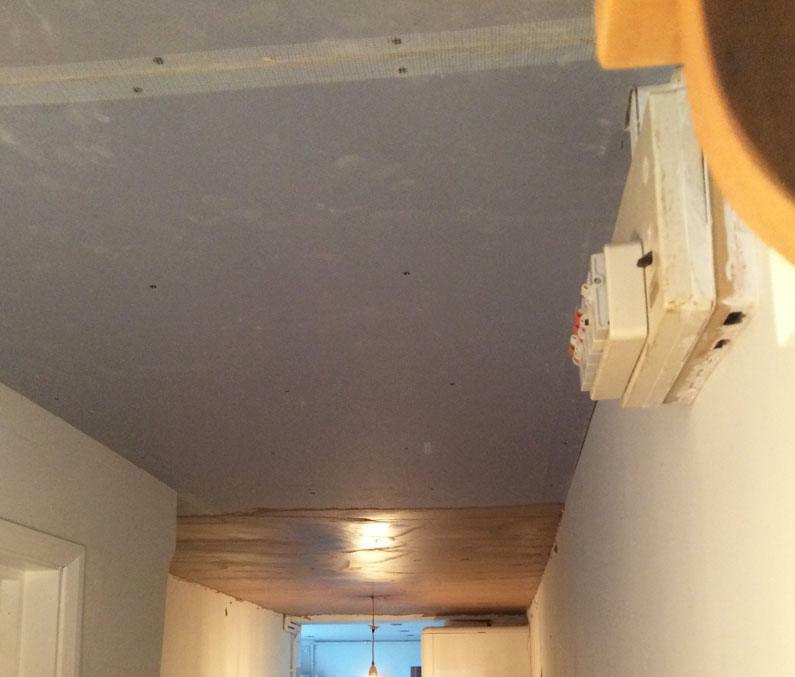 Oh, & of course you end up with a completely flat & level ceiling. 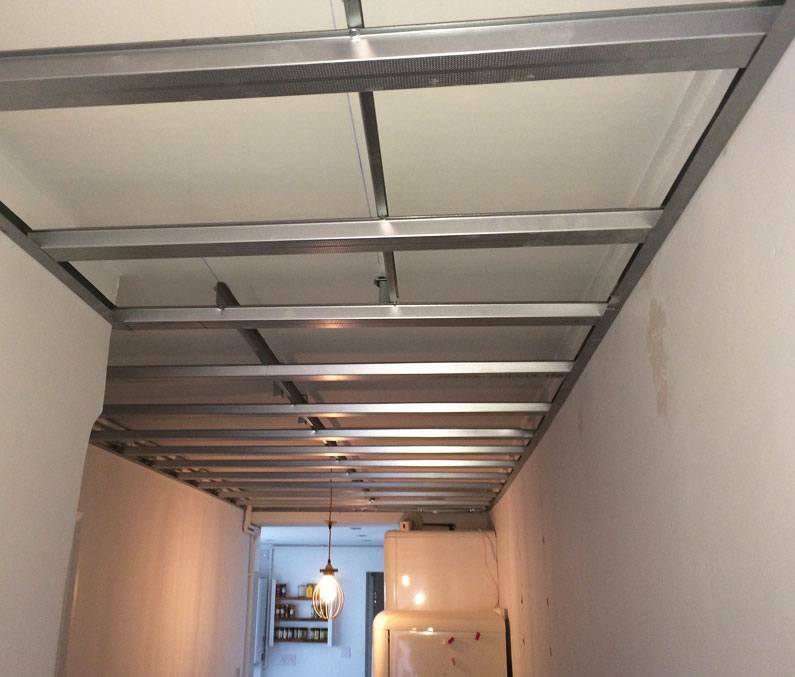 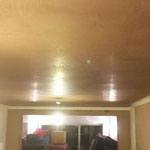 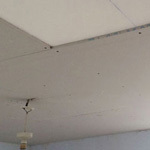 For sound proofing ceilings visit here. 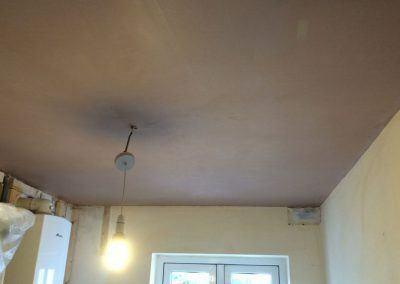 Jason made his way through our whole property, getting rid of that awful artex & leaving us with lovely smooth / flat ceilings. 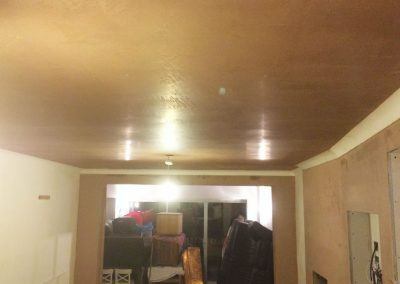 Very easy to get along with & reasonably priced too.